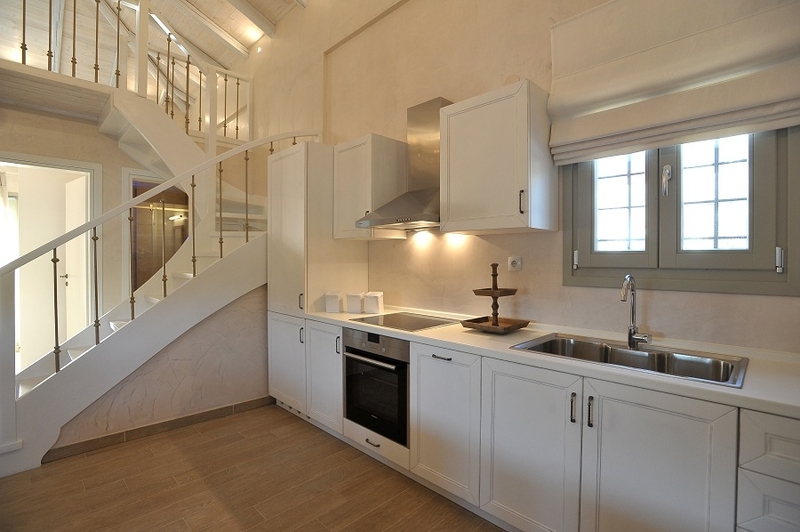 Chroma Pelion Villas are located in the area of ​​Kato Gatzea in Pelion peninsula. 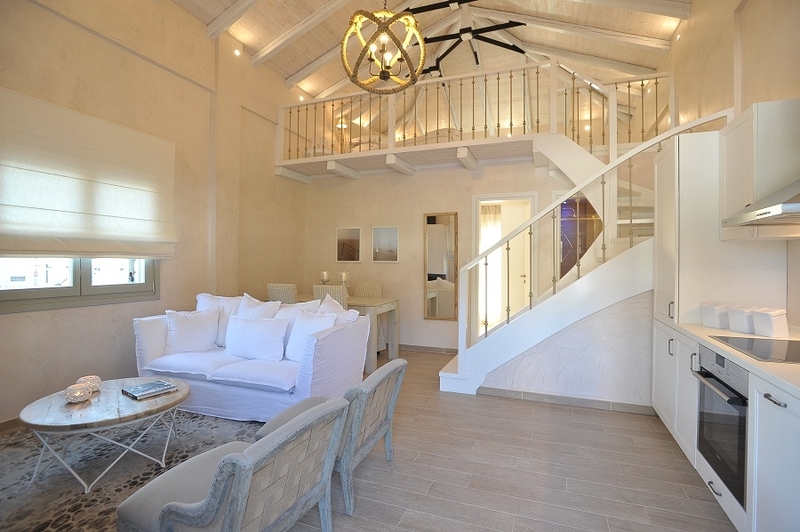 Six independent, fully furnished, luxury villas, just 20 meters from the sea. All houses are autonomous as they have a separate entrance and a private balcony and their common point is the pool is in the yard. 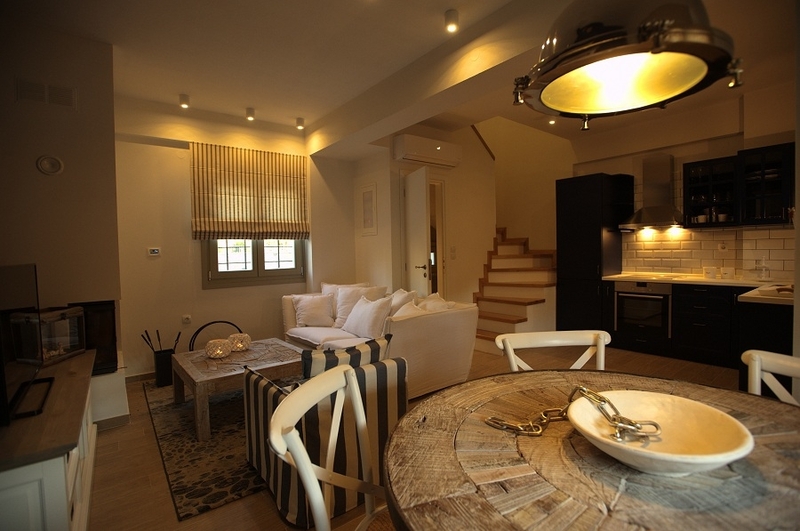 The decor inside them moves on modern lines, while on the outside there is a strong element of Pelion architecture. A key feature of the complex is luxury in the choice of materials, the privacy offered by their way of construction and the quiet surrounding landscape. 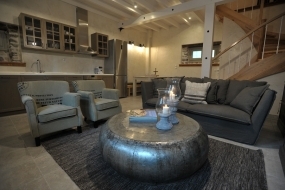 The house is consisted of a common room with fully equipped kitchen, dining and living room with fireplace. On the lower level there is a double bedroom and a bathroom while in the loft -leading by a wooden staircase exists another double bed. Villa White has the ability to accommodat up to 4 people. It has two large balconies overlooking the mountain one of which has a view to the pool area. This luxurious house has total area of ​​70 sqm. It has also a terrace overlooking the mountain and the sea. On the lower level of the house there is a big space with a fully equipped kitchen, dining room, living room with fireplace and bathroom. On the upper floor there are 2 spacious bedrooms with double beds and bathroom, leading staircase lined with wood and ceramic decorations in gray shades. Villa Green has the ability to host up to 4 people. This luxurious house has total area of ​​70 sq.m. It features a terrace with view to the mountain and the sea. On the lower level of the house is a big space with a fully equipped kitchen, dining room, living room with fireplace and bathroom. 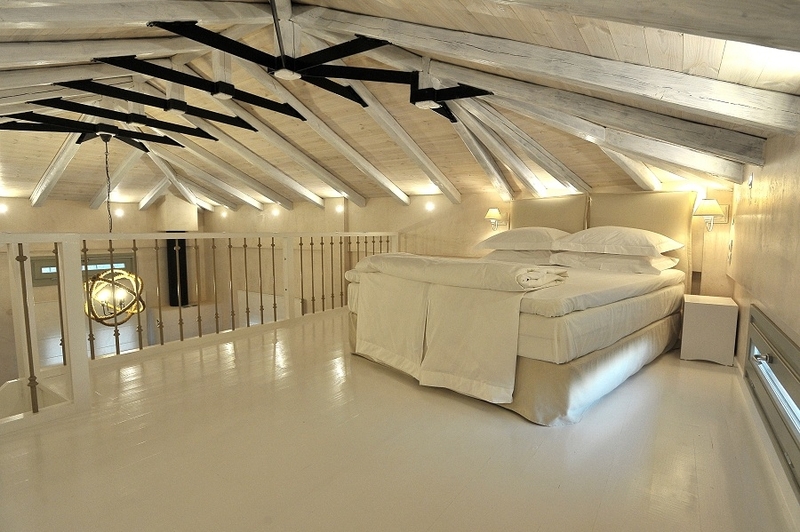 On the upper floor there are 2 spacious bedrooms with double beds and bathroom, leading staircase lined with wood. The Blue Villa is able to accommodate up to 4 people. This luxurious house has total area of ​​70 sq.m. It features a terrace with view to the mountain and the sea. On the lower level of the house is a big space with a fully equipped kitchen, dining room, living room with fireplace and bathroom. 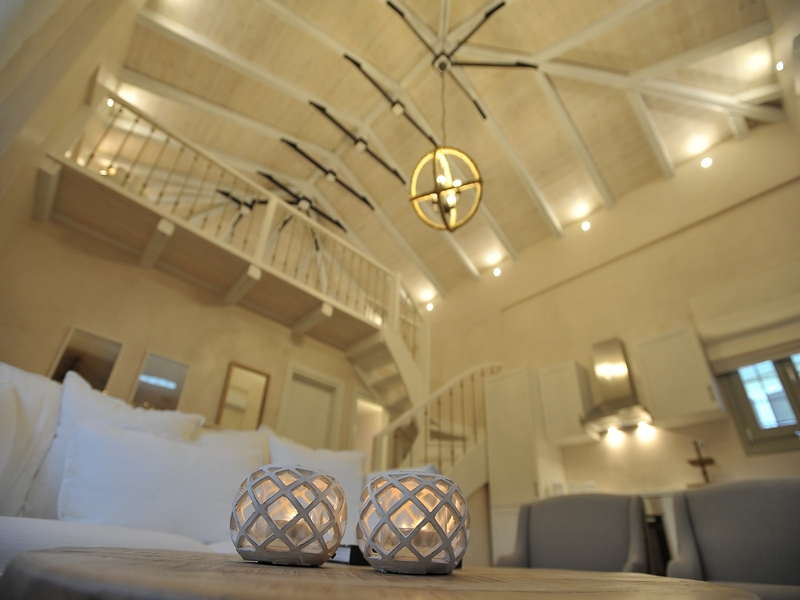 On the upper floor there are 2 spacious bedrooms with double beds and bathroom, leading staircase lined with wood. The Orange Villa is able to accommodate up to 4 people. 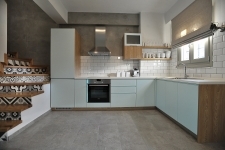 This luxurious house has total area of ​​85 sqm. It has a terrace overlooking the mountain and the sea. On the lower level of the house is a big space with a fully equipped kitchen, dining room, living room with fireplace and bathroom. Upstairs there are 2 spacious bedrooms with double beds and WC, wooden stairs leads. Villa Grey is able to accommodate up to 4 people. This luxurious house has total area of ​​85 sqm. It has a terrace overlooking the mountain and the sea. On the lower level of the house is a big space with a fully equipped kitchen, dining room, living room with fireplace and bathroom. Upstairs there are 2 spacious bedrooms with double beds and WC, wooden stairs leads. 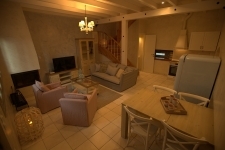 Villa Pink is able to accommodate up to 4 people.